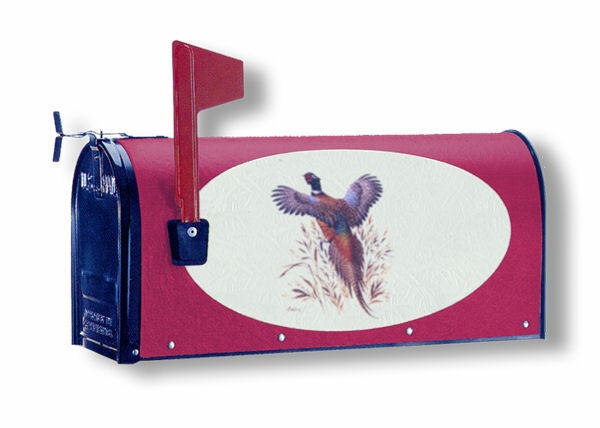 Pheasant Oval Graphic Post Mount Mailbox is available in three colors and two sizes. It features this beautiful design and provides a warm welcome to your home or business. The mailbox is made with a hand laminated fiberglass cover designed to withstand the harshest weather elements.